Have I ever told you guys about my guilty pleasure? I'm sure I've alluded to it before, but I don't think I've outright said it. I love trashy reality TV. Any and all reality TV. Oh, there's a marathon of "True Life" on? Sign. Me. Up. Bravo came out with a new Real Housewives? I'll be watching that. I don't know what it is about these shows, but I love them all. Every single one of them. OK, I don't like the Real Housewives of New Jersey or Atlanta, but EVERYTHING ELSE. The Real World is still one of my favorite shows. So there you have it. My guilty pleasure. Now tell me, what's yours? like jersey shore and jerry springer trashy? Starbucks Chai Tea Lattes. They're so expensive I feel guilty everytime, but it never fails to cheer me up on a bad day! I totally agree with your assessment of RHW...all but Jersey and Atlanta. LOVE THEM! MTV True Life...so classic. I do like reality TV, but I'm also a huge sucker for sitcom reruns (aka Friends on Nick at Nite!) and will stay up way to late watching them! 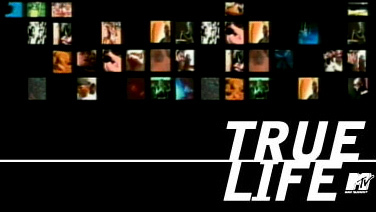 I use to love True Life AND old Real World! can we get a holla for Teen Mom?!! ?